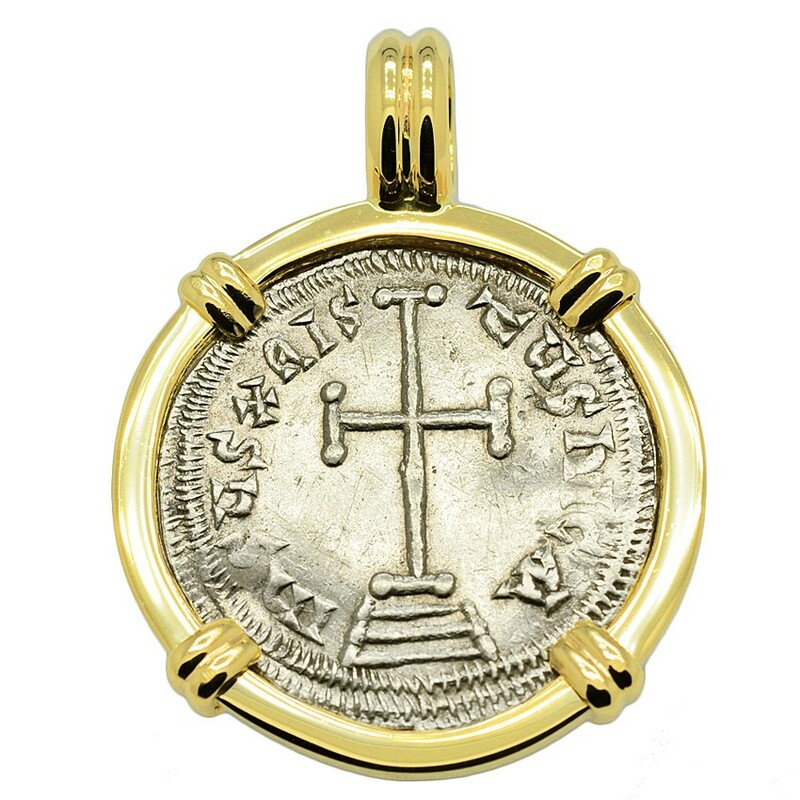 SOLD Constantine VI Cross Miliaresion Pendant; Please Explore Our Byzantine Pendants For Similar Items. This 8th century silver coin was minted during the rule of Constantine VI and his co-emperor mother Irene. 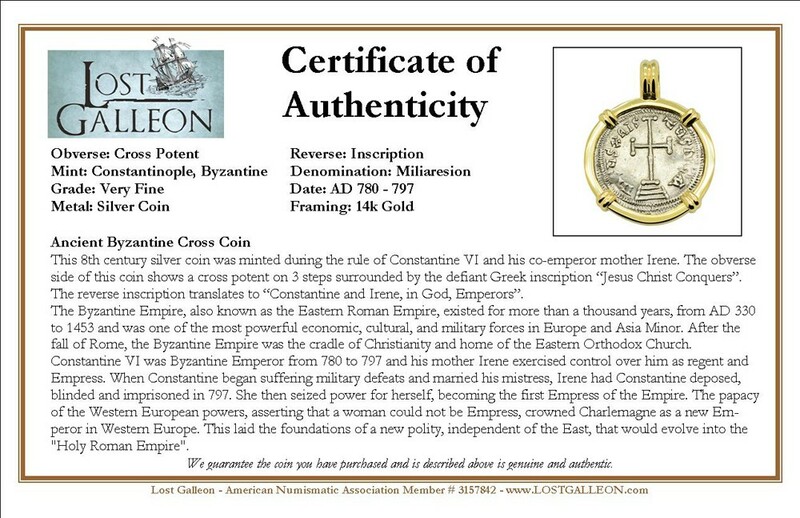 The obverse side of this coin shows a cross potent on 3 steps surrounded by the defiant Greek inscription “Jesus Christ Conquers”. 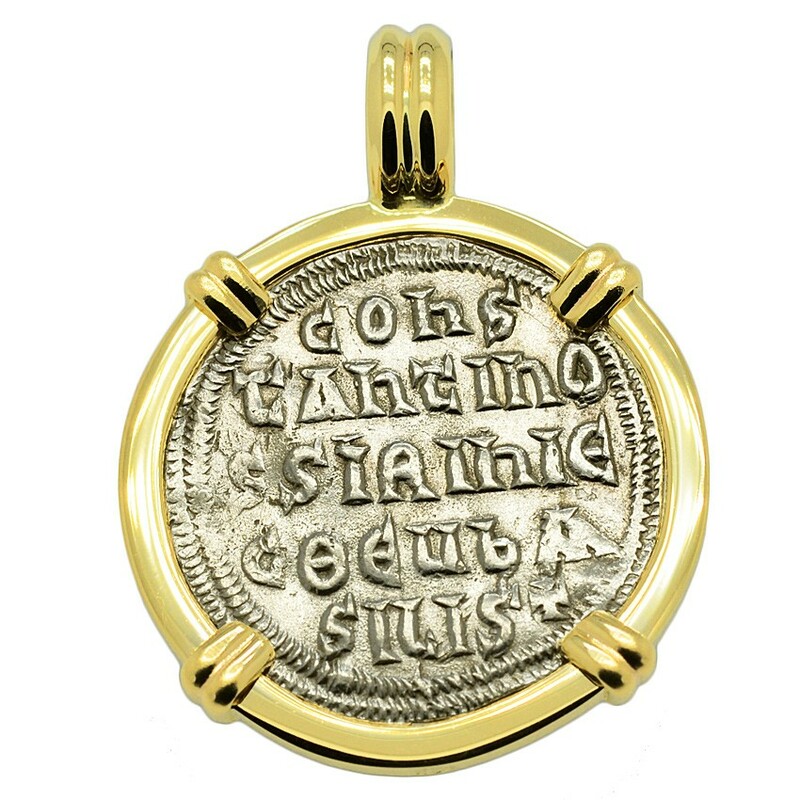 The reverse inscription translates to “Constantine and Irene, in God, Emperors”. The Byzantine Empire, also known as the Eastern Roman Empire, existed for more than a thousand years, from AD 330 to 1453 and was one of the most powerful economic, cultural, and military forces in Europe and Asia Minor. After the fall of Rome, the Byzantine Empire was the cradle of Christianity and home of the Eastern Orthodox Church. Constantine VI was Byzantine Emperor from 780 to 797 and his mother Irene exercised control over him as regent and Empress. When Constantine began suffering military defeats and married his mistress, Irene had Constantine deposed, blinded and imprisoned in 797. She then seized power for herself, becoming the first Empress of the Empire. The papacy of the Western European powers, asserting that a woman could not be Empress, crowned Charlemagne as a new Emperor in Western Europe. This laid the foundations of a new polity, independent of the East, that would evolve into the "Holy Roman Empire".